Google Chrome for iOS is already cutting into Safari's lead as it hit 1.5 per cent of all US and Canadian iOS traffic within three weeks of launching. Online advertising network Chitika released its findings after it launched a Chrome iOS adoption tracker. Chrome's share of traffic shot to over 1 per cent only between July 2 and 3, when it showed up on Chitika's network for the first time. This is speculated to have been brought about by word of mouth referrals and aided by the app's position on the App Store charts, according to the network. 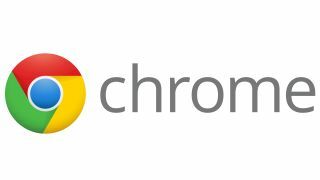 Chrome's share has since dipped to 1.2 per cent of iOS web traffic over the past 24 hours but when Chrome reached its high mark on iOS browser share, 14.5 per cent of users were using a platform other than Safari. This number has risen to 18.2 per cent on Friday. Users flocking to another browser is telling "of how consumers interact, share, and navigate the Web using smartphones and the constantly increasing number of applications available to them," Chitika said. Google unveiled the iOS version of Chrome at last month's Google I/O developer conference.